Are you seeking an extraordinary incense to match your optimistic personality? If so, you found the best there is in Sagittarius incense! A unique scent to match your special characteristics, traits and qualities! The sign of Sagittarius means you were born between November 22 and December 21st under the sign of the Archer. A sign that fits thrill-seeking Sagittarius perfectly! With elements of fire and passion, you are known to have a great sense of humor. Some of your qualities like wanderlust keep you moving from place to place or changing up rooms in your house. You are a thrill-seeker and have a good sense of humor, keeping your friends entertained and loyal. The most compatible signs with Sagittarius are generally considered to be Aries, Leo, Libra and Aquarius. You are ruled by the planet Jupiter, the largest planet in the solar system is the ruler of all big things, expansions and excess. You focus on and do big things, you are broad-minded. You are also ruled by your hips, thighs and liver. When you are upset these areas may be affected. You are known to be fun to be around and love to party! Be careful as your liver may be affected with too much libation! 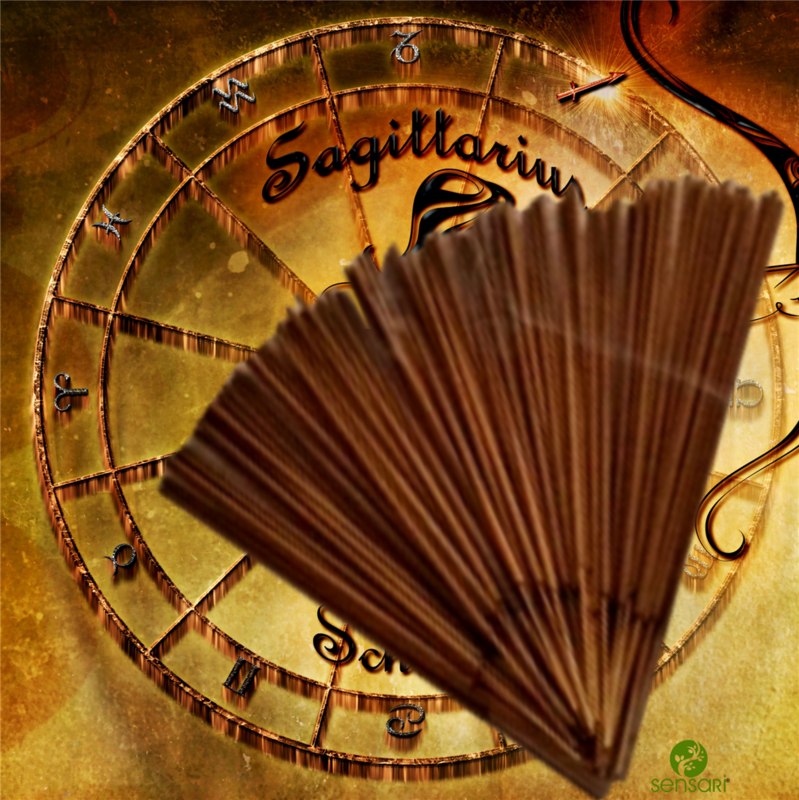 Your specific Sagittarius scent in the incense is a blend of vanilla and patchouli to match your sensational fun personality. These two beautiful scents come together and excite your natural open-minded self! You are naturally curious and energetic. You love to travel, and you are always looking for happiness. Being serene, optimistic, and adventurous are other traits you sport. Your jovial yet naïve nature give you tend to stay low when drama arises. Continue your adventure with your special Sagittarius incense, supporting the real you!